Let your Brand make a statement with new, specialized extensions! With a host of new gTLDs launching soon, you will be able to define and communicate your Brand better. 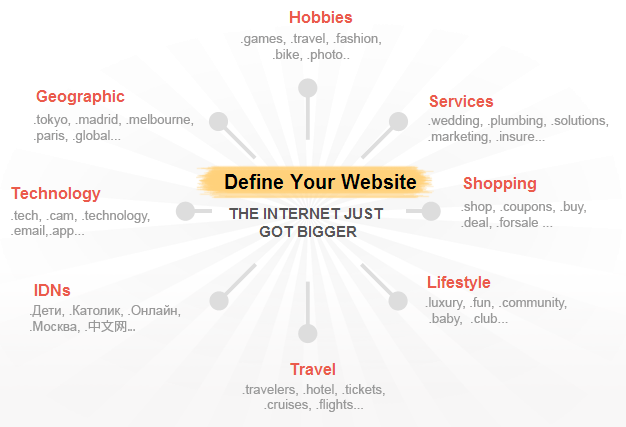 Be it Sports, Technology, Business or Lifestyle, the internet now offers targeted extensions in every category.